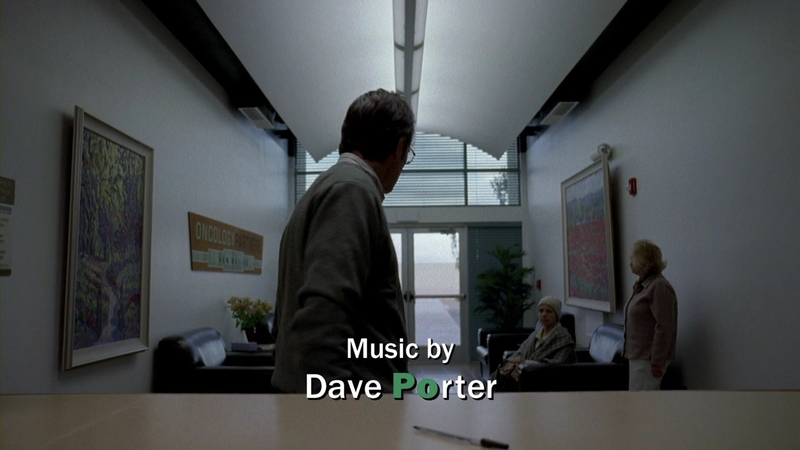 Episode "Crazy Handful of Nothin’"
Walt is at the oncology building. 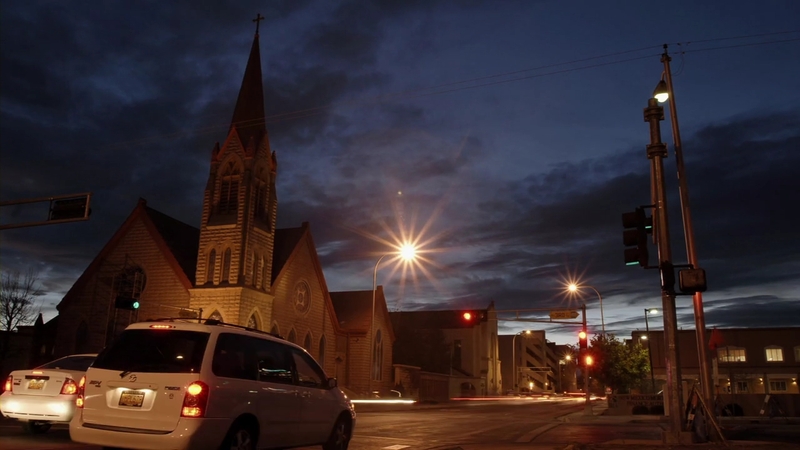 Timelapse of an intersection near a church. 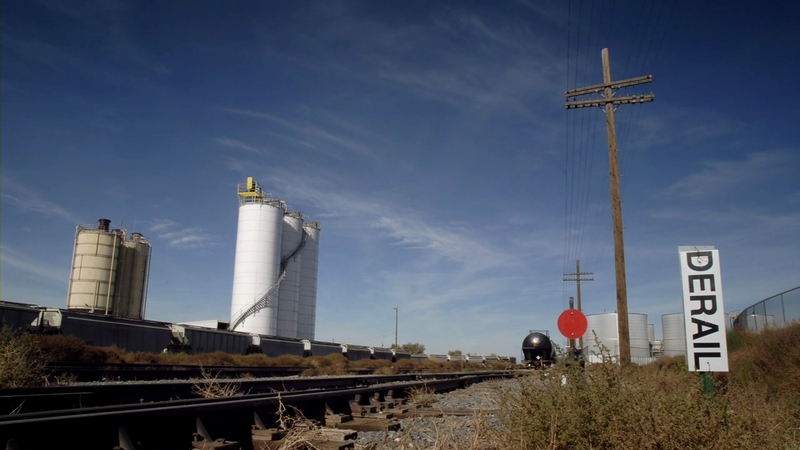 Timelapse of a train track. 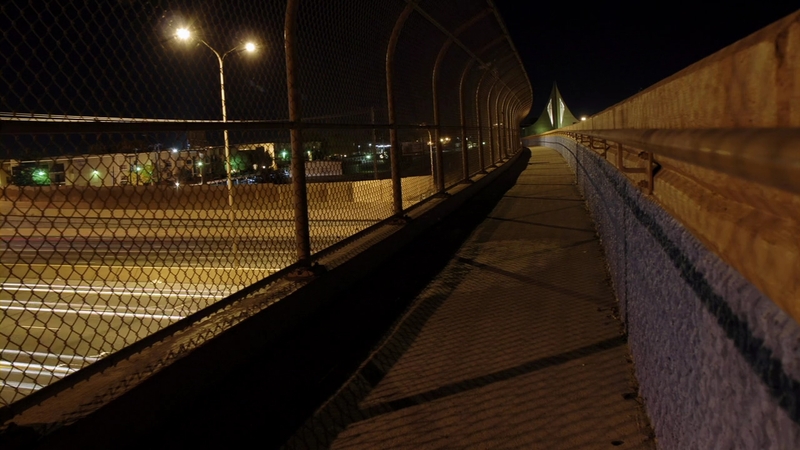 Timelapse of a pedestrian bridge. 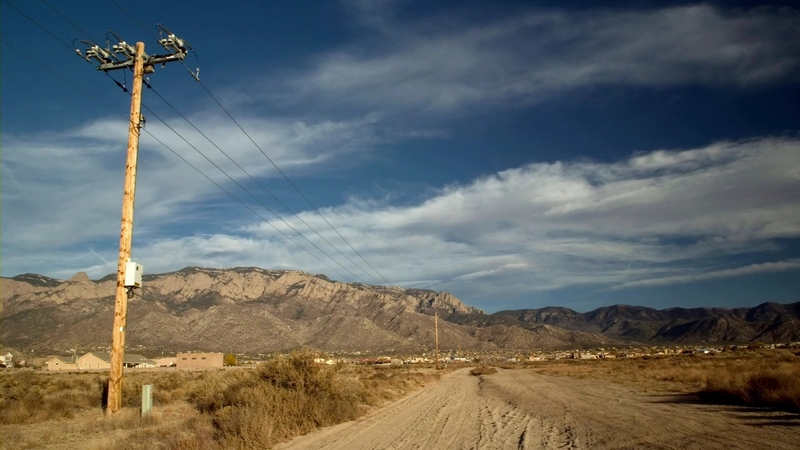 Timelapse of another desert scene. 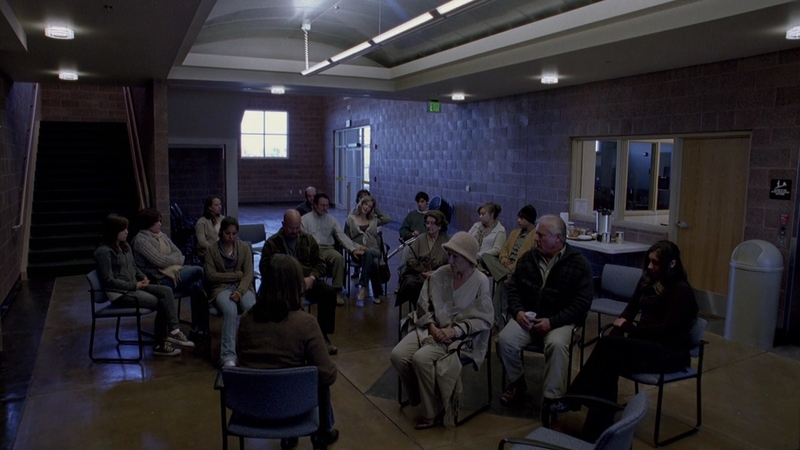 Walt, Skyler and Walt Jr. go to a cancer support group. 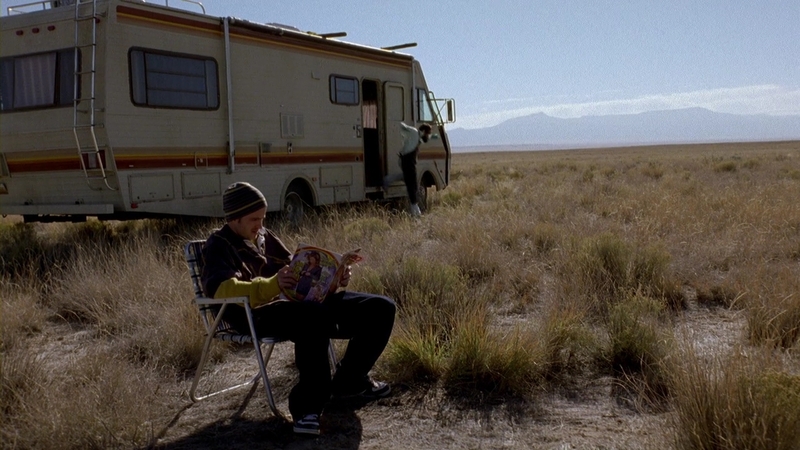 Walt and Jesse are cooking meth again. 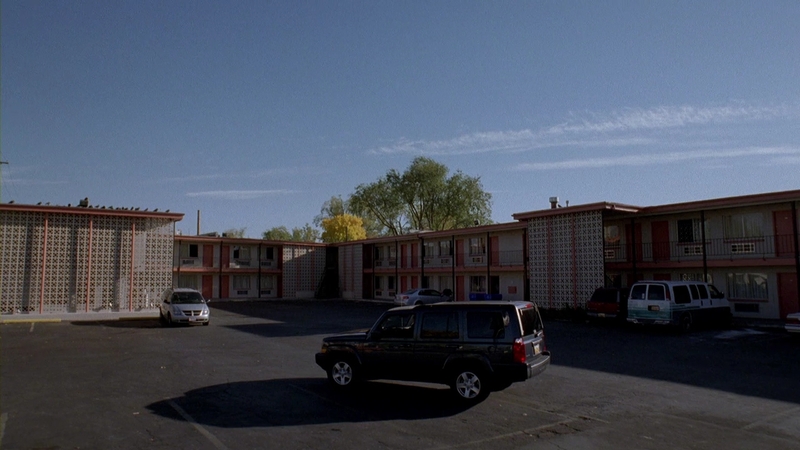 Hank meets with Gomez at a motel parking lot. 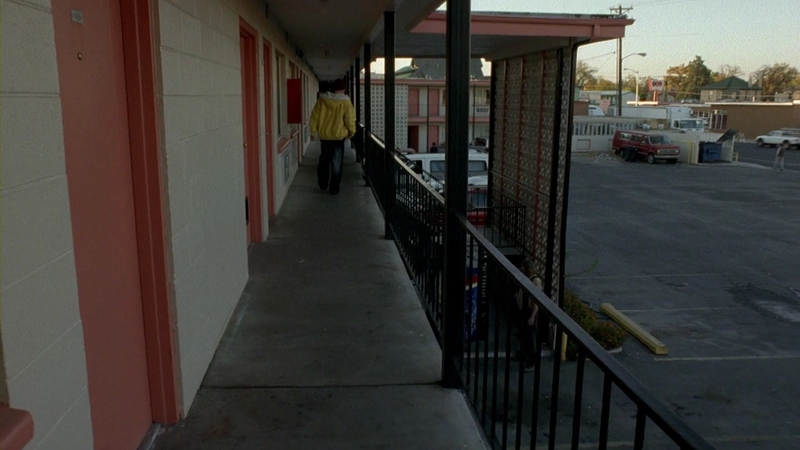 Jesse deals drug at the same motel. 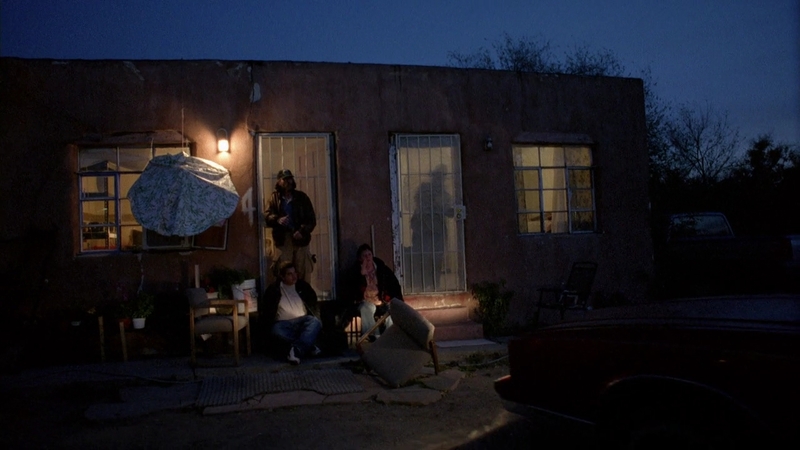 Jesse meets with some unknown people. 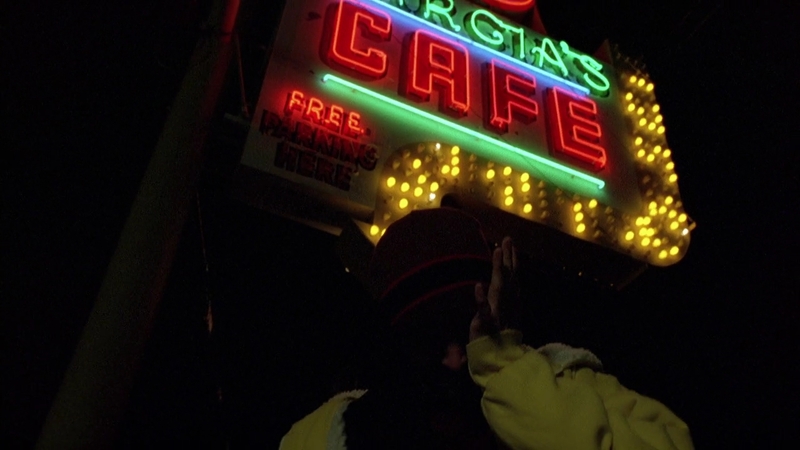 Jesse deals at Garcia's cafe. 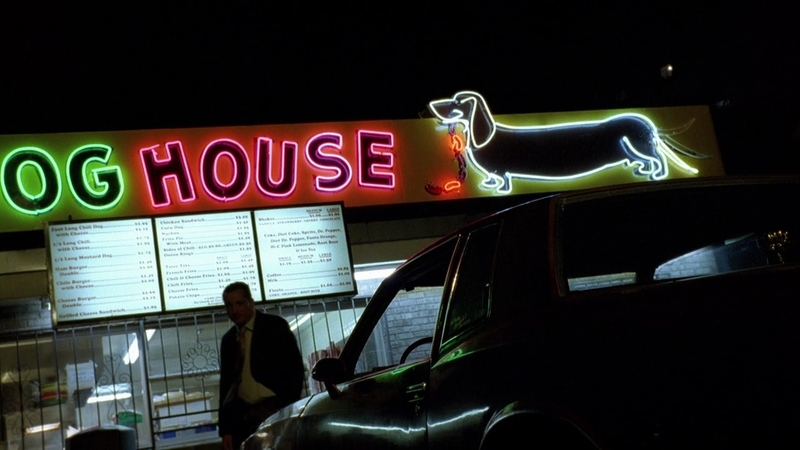 Jesse deals at a drive-in. 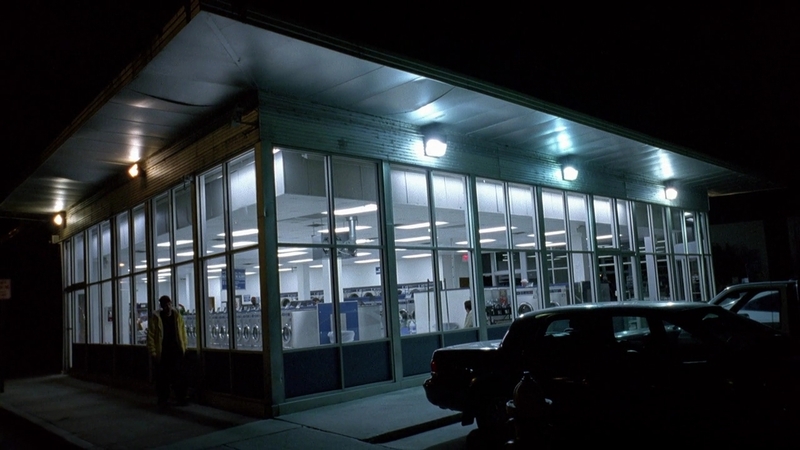 Jesse deals at a laundromat. 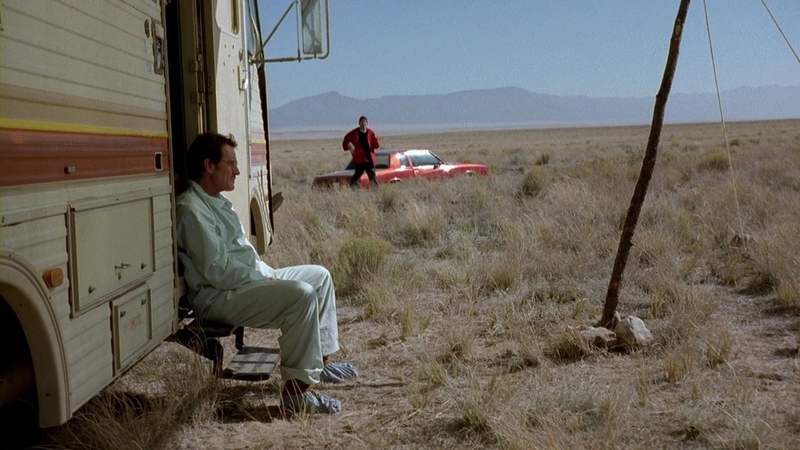 Walt and Jesse are in the desert again. Walt is at the oncology place again. 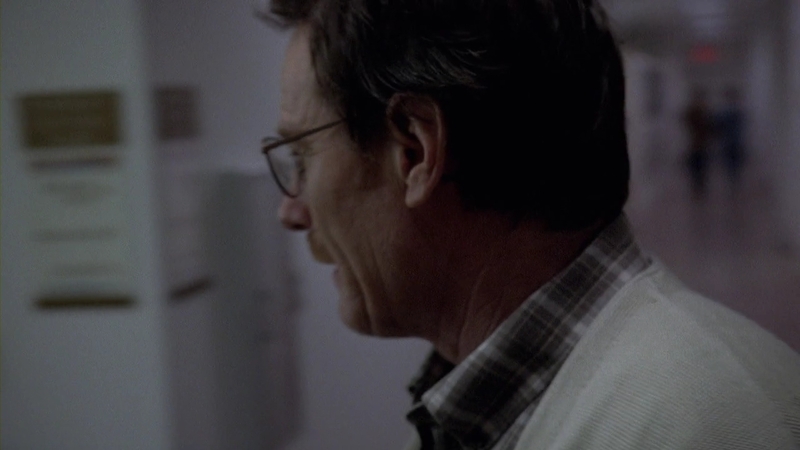 Walt is at school and Hank drops by. 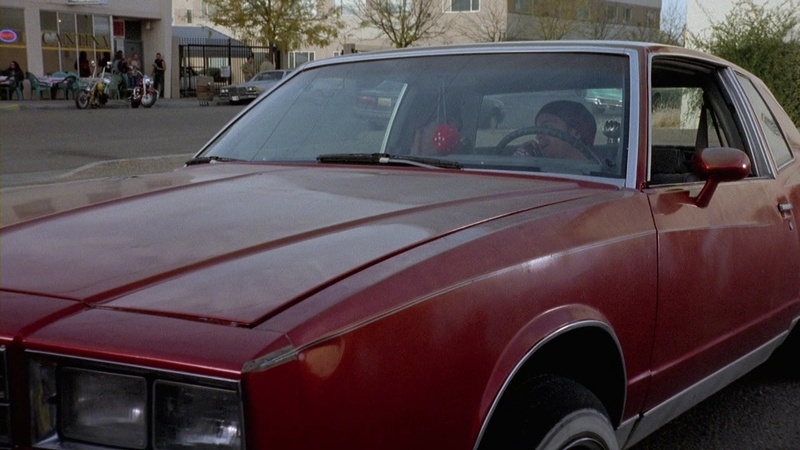 Jesse on the phone with Walt. 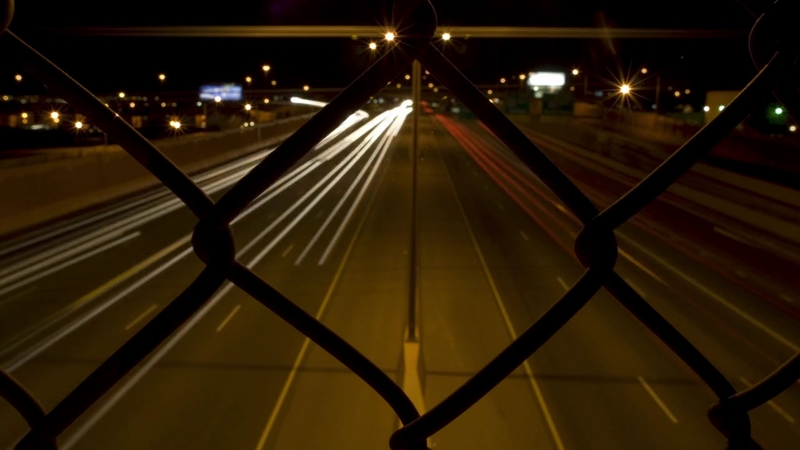 Alternates with the previous scene. 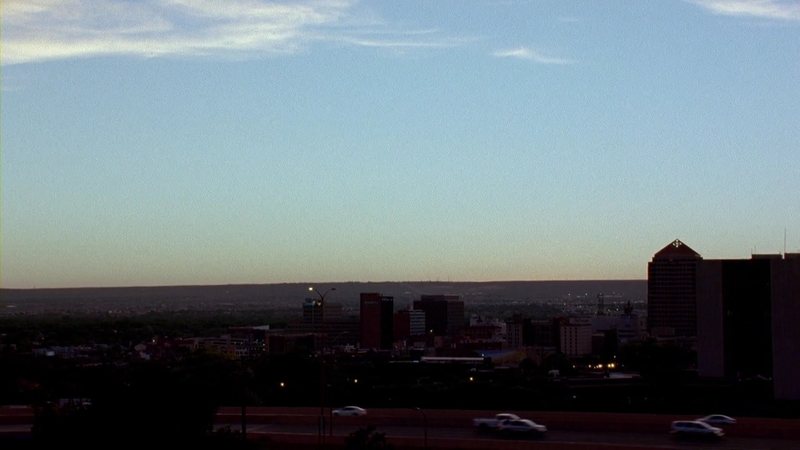 Jesse then goes to Tuco's place. 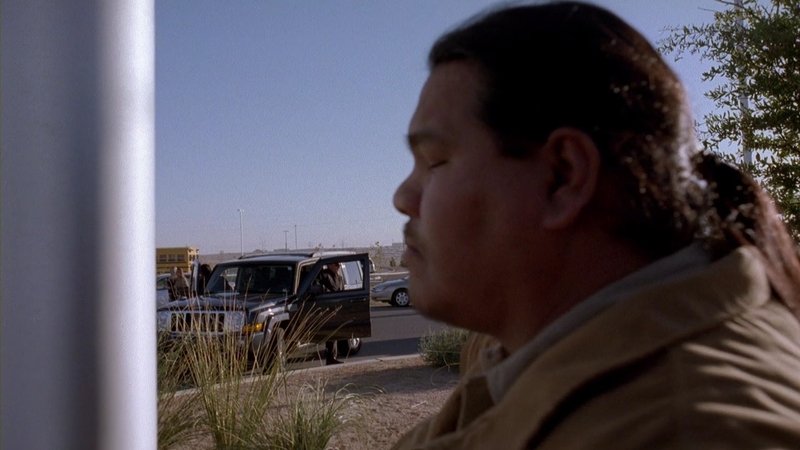 The DEA goes to Walt's school to arrest the janitor. 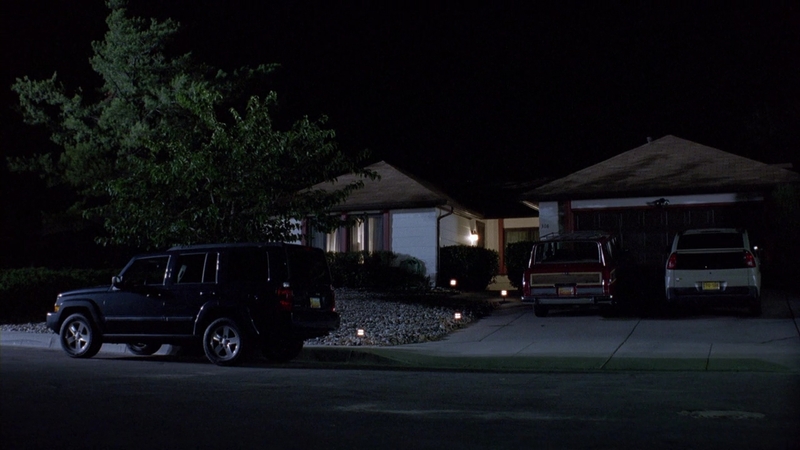 Evening shot of the house. 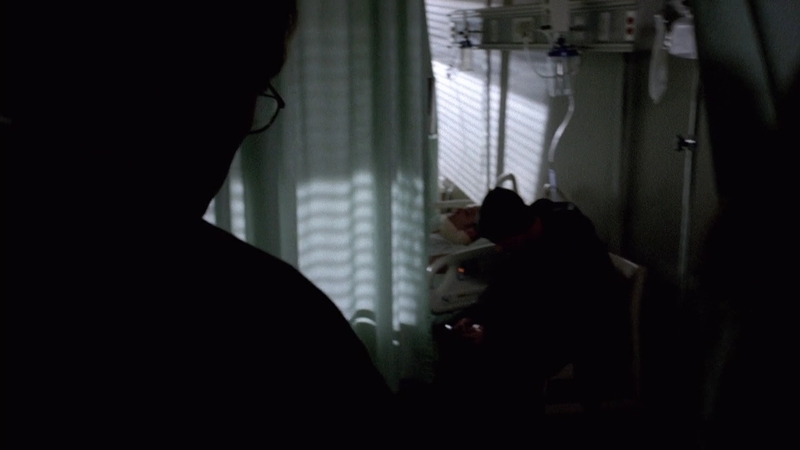 Walt visits Jesse in the hospital. 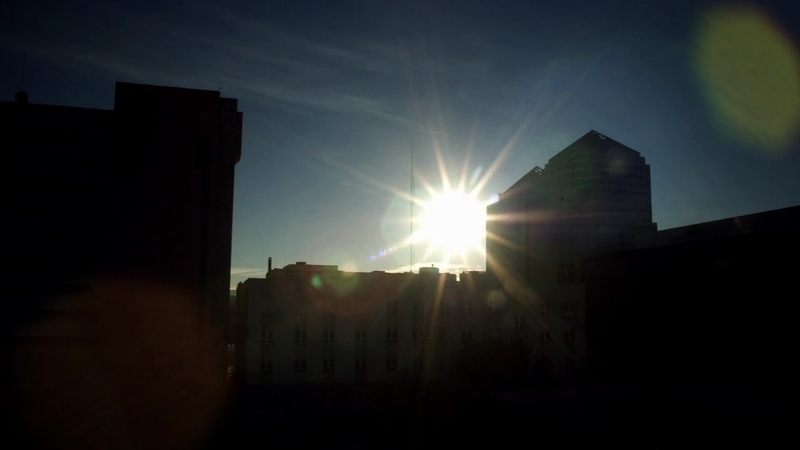 Possibly shot at a soundstage. 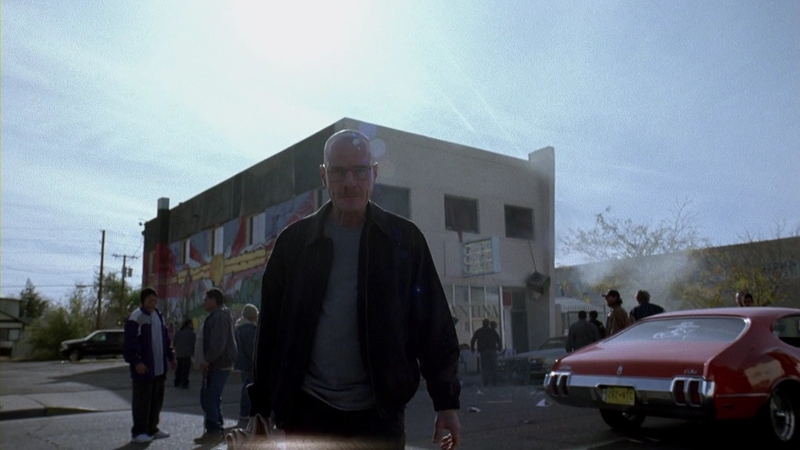 Walt goes to see Tuco.